BE SURE TO CLICK THE LAST PHOTO (WHEN SCROLLING THROUGH PHOTOS) TO SEE A VIDEO OF THE CABIN AND THE PROPERTY!! Located only 6 miles from Sugar Mountain, 8 miles from Beech Mountain and 3 miles from beautiful Downtown Banner Elk, and all they have to offer. 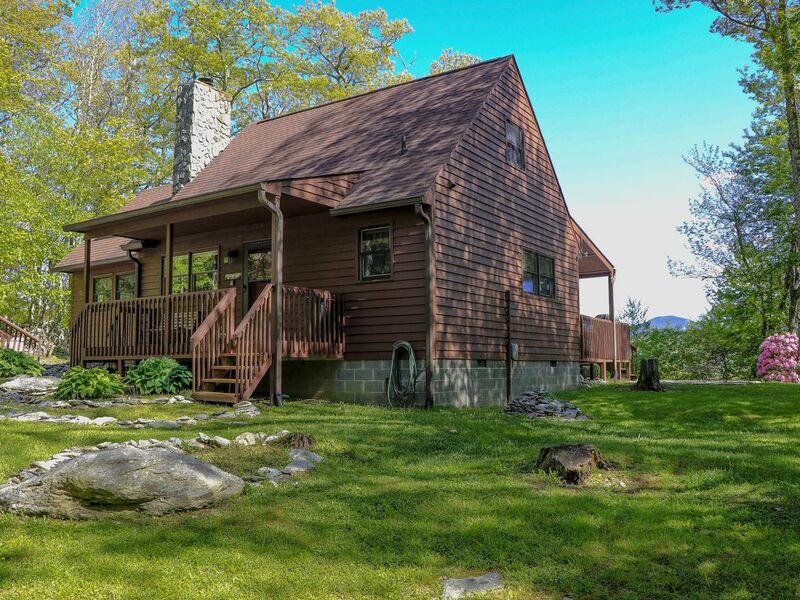 Mountain View cabin sits on the ridge overlooking Grandfather Mountain. Here you will find the peace and tranquility you have been looking for. It is convenient to town, but far enough away to feel like you are 'away from it all'. The cabin is at the end of a State Maintained road and very private. Our comfortable Cabin features cathedral ceiling, and a loft, wood burning fireplace and a spectacular view. Enjoy the views of Grandfather Mountain and Sugar Mountain. We pride ourselves in the cleanliness of our cabin and hope you will appreciate it too. It will comfortably sleep a family of four or two couples. We have an amazing view of Grandfather Mountain!! Beds will be freshly made and all bath towels, hand towels, wash cloths and kitchen linens are provided. Towels for the Hot Tub, as well. Full size sofa and love seat. Refrigerator, Dishwasher, Stove, Microwave, Double Sink, Coffee Maker, Toaster Oven. New table and 6 chairs in the dining room and 4 bar stools at the bar in the kitchen. 40in. HD Flat Screen TV with Surround Sound in Living Room, 36in. Smart TV in Master Bedroom and 16in TV in loft bedroom. We have a fenced area for your dog to play off leash! Hot Tub is just outside the master bedroom and has great views.